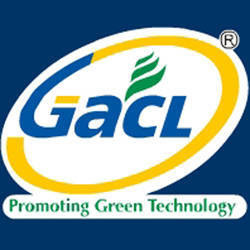 Gujarat Alkalies and Chemicals Limited (GACL) Published Recruitment Notification for Officer (Marketing), Additional General Manager, Deputy General Manager (IT) & Officer (Safety) Posts. View More Details About This Recruitment Including Total Posts, Posts Name, Educational Qualification, Age Limit, Salary, How to Apply etc. are Given Below. Officer (Marketing) : B.E. / B.Tech (Chemical) / B.Sc (Chemistry), Preferably with MBA (Marketing). Addl. General Manager / Dy. General Manager (IT) : B.E. / B.Tech (Computer Engg. / IT / Computer Science) (Full Time) / MCA (Three Years Regular Course). Proven Experience in Implementation of SAP is Mandatory. Officer (Safety) : B.Sc. (Full Time) and Post Graduate Diploma in Industrial Safety from Government Recognized Institute / College. Preference will be given to Candidates having Extra Qualification in PG Diploma and / or Certificate in Disaster Management.